Here’s a great bike you should seriously consider if you’re scouring the second-hand market in 2012. Why? Because it’s an all-roundly useable big bike that oozes character. That’s why. 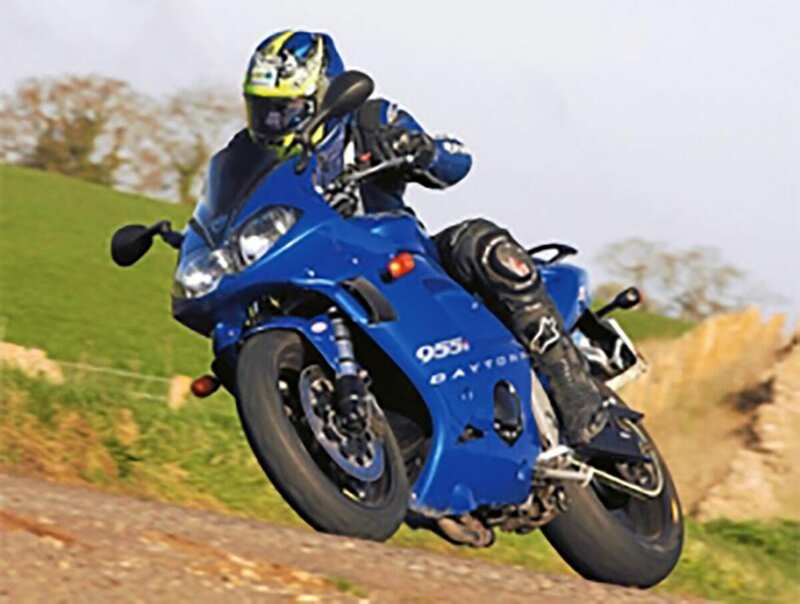 The Daytona 955i could well fall into the category of a clever buy because it’s a bike that’s still got plenty of competitive poke in terms of real world riding. A development of Triumph’s first attempt at a superbike, the Daytona T595 (as it was called in the first stages of its life) first appeared in 1997. The original took on the might of Japan and aimed to compete head-on with machines like the Honda FireBlade, Kawasaki ZX-9R, and Yamaha Thunderace. Back then, superbikes were big sellers and if it proved popular, the T595 would help to boost the profits and credibility of the then relatively new bike manufacturer. Distinctly styled with its tubular alloy frame and single-sided swingarm, the 128bhp, 955cc, three-cylinder T595 did pretty well in the showrooms and continued to be popular even though there were occasional blips on the horizon in the shape of rare frame cracking issues and occasional gearbox problems. 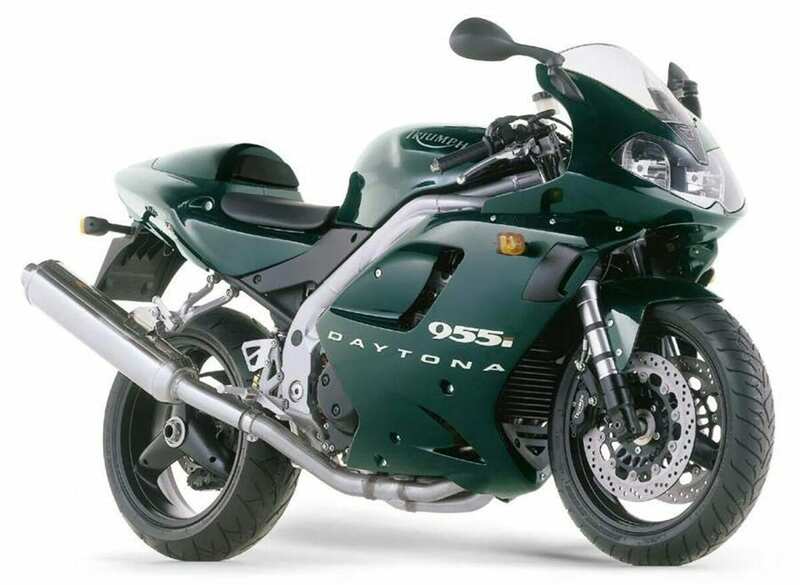 Renamed as a Daytona 955i in 1999 following some confusion over its actual engine capacity, the superbike was given a make over. New styling and numerous minor engine and chassis updates improved the performance slightly. But it was in 2002 that the Daytona moved forward more significantly. The revised engine, featuring a new cylinder head, produced an impressive 147bhp. Bodywork was completely refreshed, and chassis changes including a steeper head angle, shorter wheelbase and reduced weight which produced more agile handling. The 955i now featured a double-sided swingarm too. Also in that year, the Centennial Edition of the bike was introduced. Available in British racing green only and with a once-again-but-only-on-this-model single-sided swingarm. This was followed by the Special Edition model, and after other minor updates, the distinctive all-black 2005 version. The Daytona’s production finally came to an end in 2006, which was a shame but means that these days there are some cracking bikes out there on the second-hand market for not a lot of cash. Even when it was new back in 2002, the Daytona 955i wasn’t cutting edge. But 10 years on, the British superbike has lots going for it, and is now more appealing. Out of the performance rat race, the classily styled Triumph is laden with character and has enough versatility to be considered an everyday machine. The Triumph seems relatively weighty and lethargic to begin with. But once under way the 955i’s tallness evaporates, replaced by a lovely balanced and neutral feel. While the steering and agility of the Brit bike isn’t in the same league as today’s superbikes, its predictability in these areas is welcome. The 955i turns nicely but doesn’t ever give the impression it’s going to get frisky. One of the very few modifications our test bike’s owner Paul Uzzell has made really helps the handling though. The Renthal high bar kit he’s fitted makes the Triumph even easier to manage giving more leverage than the original lower set clip-ons and so direction changing takes next to no physical effort. The more upright riding position is a bonus too. The high bar mod is highly recommended. With a realistically set footrest position and good protection from the wind via the taller screen he’s fitted, Paul’s Triumph is capable of longer mileage trips without generating any serious aches and pains. There’s no doubt the support offered by the forks and shock are geared for harder riding, and when they’re more loaded with speed you definitely feel the bumps less. However, the ride quality is always pretty decent, and with its adjustability you can set each end to suit your tastes and get the preferred comfort/control level you desire. Slightly surprising, though still worthy of plenty of praise, is the Daytona’s engine. Torquey, usable and flexible it generally might be. But there’s no doubting it’s a motor designed for a sportbike, and once you’ve spun it higher into its rev range that immediately becomes apparent. There is enough power on tap to dawdle around town in bigger gears with fluid reserves of drive to draw on with the throttle alone. But when you’re out on open roads then you may need to use the less than perfectly slick gearbox more often. 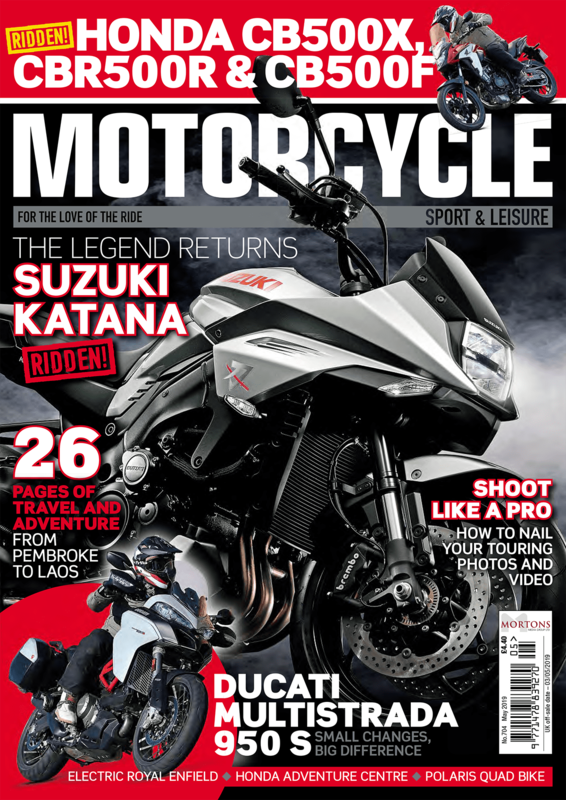 Something like the weight of a pillion, luggage, or a simple desire for more speed obliges you to rev the triple harder and sample the stronger veins of midrange and top end power.